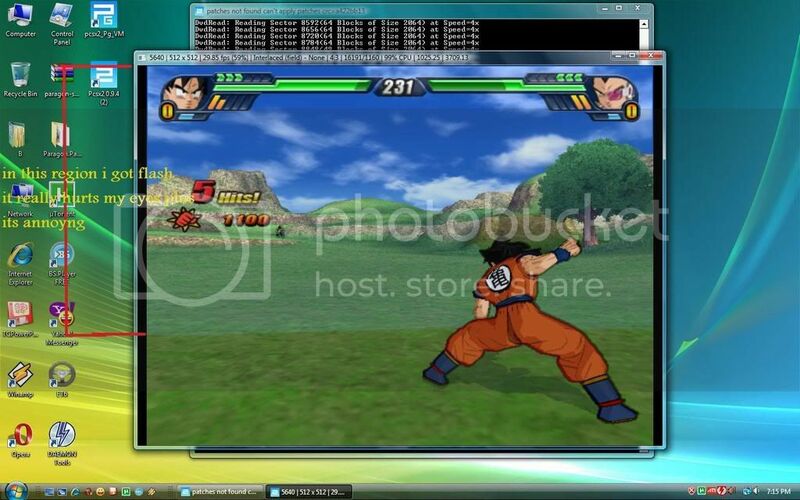 I tried Dragonball Z BT3 with GSDX9 0.11.4 but its kind of slow but the graphic its ok.with ZeroGS 0.97.1 i get some strange lines and the backround is green.in settings only specular highlights helps and improve framerates alot.does someone know how to fix it ? thanks. try disabling the advanced options in ZeroGS. i tried everything with no image improvment.i installed vista ultimate sp 1 and tried dragonball bt3 with GSdx 890 SSE2 0.1.1.4 dx10 my framerates got from 17 in XP SP3 to 30 in Vista but i also got flash problem.with gsdx 9 SSE2 0.11.4 the graphic is ok no flashing but i got an unplayable frames around 19-22. Pal version has problems with newer GSDX versions. The only workaround is using 1.1.4, but that one is slow as hell. The other "workaround" is buying the NTSC version. can the developer who works on gsdx can repair this problem?With gsdx9 0.11.4 the graphic is good but its slower.Or maybe he can implement dx10 in gsdx9 0.11.4.i don't know.but please fix it. 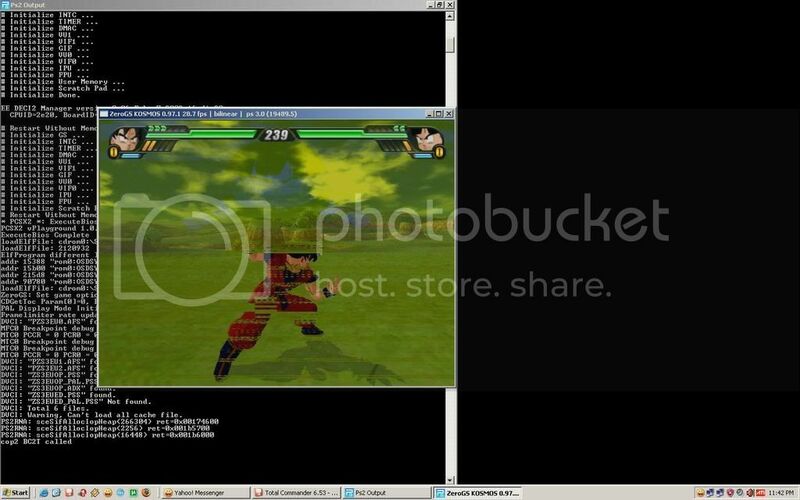 (01-19-2009, 08:40 PM)gotenks Wrote: can the developer who works on gsdx can repair this problem?With gsdx9 0.11.4 the graphic is good but its slower.Or maybe he can implement dx10 in gsdx9 0.11.4.i don't know.but please fix it. what are your PC specs. If your cpu is slow you will not get good speed.